Hospitals and other healthcare providers use business intelligence tools to aggregate medical, financial, administrative and other data sources and to analyze the data and reach new insights. An effective hospital or healthcare dashboard can help streamline various medical and business processes, improving operational efficiency and even saving lives through more effective care for patients. 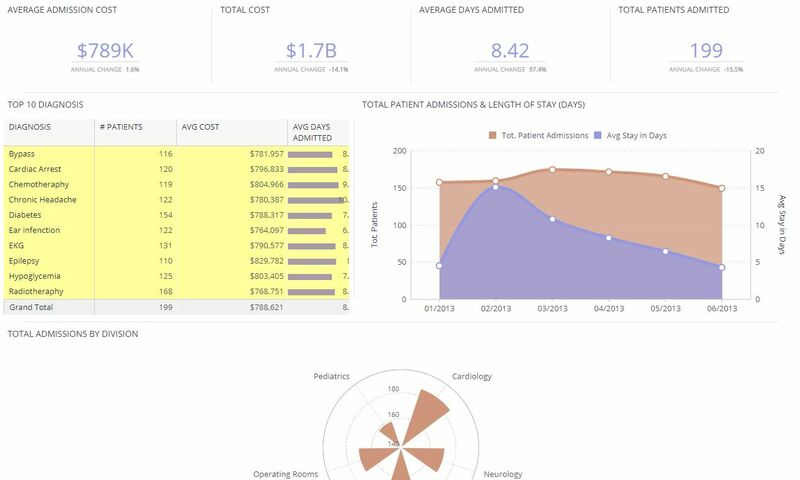 Check out this example of a healthcare BI analytics dashboard, which we created using sample data and Sisense BI Software.